Finding a financial advisor is a challenge. Luckily, SmartAsset has simplified your search by determining the top financial advisor firm in Wichita, after dozens of hours of research into the city’s firms. Below, we lay out our findings about the firm, including its fee structure, investing strategy and background. SmartAsset began by considering all firms in Wichita registered with the U.S. Securities and Exchange Commission (SEC). We specifically considered SEC-registered firms, because they have a fiduciary duty to put their clients’ best interests ahead of their own. We eliminated any firms that had disciplinary issues, so that the final list of firms under consideration only included firms with clean records. We also eliminated firms that did not manage individual accounts or did not have financial planners on staff. The remaining firm is reviewed below. The top financial advisor firm in Wichita is 6 Meridian, which has more than $1.40 billion in assets under management (AUM). The firm has 11 financial advisors on staff. That includes three certified financial planners (CFPs) and three chartered financial analysts (CFAs). As a fee-based advisor, 6 Meridian’s advisors may sell certain brokerage services or insurance products to clients and in turn may earn a commission. Being a fee-based advisor does not change the fact that 6 Meridian is a fiduciary and thus has to put its clients’ best interests before its own. There is no minimum amount required to open an account, but the firm charges clients a minimum monthly fee of $300 per household. This is a flat fee so clients with lower account balances will pay a higher effective fee rate than clients with high account balances. Clients of 6 Meridian LLC include individuals, high-net-worth individuals, pension and profit-sharing plans, trusts, estates, charitable organizations, corporations and businesses. With that being said, more than three-quarters of the firm’s clients are high-net-worth individuals. Seven partners founded 6 Meridian in 2016: Margaret A. Dechant, Stevan M. Bahm, Andrew J. Mies, Pamela A. Smith, Sarah J. Hampton, Bryan S. Green and Thomas H. Kirk III. They are still the sole owners of the firm, with Dechant serving as CEO. Services from 6 Meridian center on offering clients comprehensive financial planning. For example, the firm offers business planning, cash flow forecasting, trust and estate planning, retirement planning and education planning. Additionally, the firm provides investment portfolio services. If a client has investment products that are not maintained by 6 Meridian, like 529 plans and annuity contracts, 6 Meridian can still provide management advice. According to 6 Meridian’s website, the firm offers 12 base portfolios for clients. The portfolios differ from each other by how risky the investments are and by their expected returns. Higher risk portfolios have higher potential returns. These base portfolios can be adapted to meet a client’s specific goals, needs and risk tolerance. When choosing securities for a portfolio, 6 Meridian uses fundamental and quantitative research methods. Fundamental analysis attempts to measure a stock’s value by looking at a number of financial and economic factors. Quantitative analysis attempts to understand and predict how a security will behave. IMA Wealth, Inc. provides a suite of financial management services to individuals and their families, corporations, charitable organizations and corporate retirement plan sponsors. It currently holds more than $470 million in assets under management. And according to SEC data, the firm primarily works with individuals who fall outside the high-net-worth category. So if yours is less than $1 million, IMA Wealth may be the right firm for you and your family. In fact, you only need a minimum investment of $50,000 to receive investment management services. But the firm may be willing to waive this requirement on a case-by-case basis. IMA Wealth generally charges annual fees for this service as a percentage of your assets under management. However, that fee currently can’t exceed 1.60%. Still, IMA Wealth may agree to negotiate different terms. IMA Financial Group, Inc. is this firm’s parent company. It also runs affiliates that sell insurance products. In the event you purchase one of these products, an IMA Wealth affiliate may receive commission. However, the firm works under fiduciary duty. So it’s legally obligated to work in your best interests at all times. 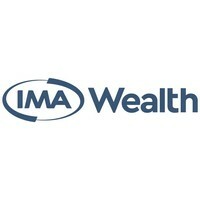 IMA Wealth was founded in 1999, when it first opened its doors to the community of Wichita. It also manages offices in Dallas and Denver. The IMA Financial Group, Inc. (IMA) wholly owns IMA Wealth. The parent company is an insurance-brokerage agency and employee benefits organization based in Wichita. The team at IMA Wealth features three certified financial planners (CFP), one chartered financial analyst (CFA), one certified retirement plan specialist (CPRS) and one chartered life underwriter (CLU). The IMA Wealth investment philosophy is driven by asset-allocation strategy. The firm will analyze your entire picture to build the right one. It will consider your risk tolerance, cash flow, and overall financial objectives to build the right one for you. In addition, you’d have access to the entire advisory team when you work with IMA Wealth. All will work with your Relationship Manager to construct the right financial plan for you.The firm may alter your portfolio’s asset allocation or financial plan if changes to your financial objectives of risk tolerance deem it necessary. In addition to your personal circumstances, the firm also builds portfolios by utilizing research and portfolio modeling, as well as quantitative and qualitative securities analysis. The Wealth Alliance Advisory Group provides its clients with a comprehensive range of wealth management topics, including financial planning, portfolio management and even tax-planning services. It currently generates more than $260 million in assets under management with only a three-person investment advisory team. According to official paperwork the firm filed with the SEC, most of its individual clients are non-high-net-worth individuals. But WAAG also provides services directly to profit-sharing plans and businesses. WAAG started doing business in 2017, making it the youngest firm on our list. The founder Gary W. Decker serves as its president and CEO. However, he can trace his experience in the financial services industry back to 1990. And even though the three-person staff does not hold accreditations like certified financial planner (CFP) or chartered financial analyst (CFA) designations, the team members have impressive resumes. They’ve held leadership positions at firms like UBS Financial. WAAG provides investment advisory services on a discretionary and non-discretionary basis. This means it can manage an investment portfolio for you or take your input, as far as security selection goes. Nonetheless, WAGG deploys an investment strategy it deems right for you based on your investment objectives, risk tolerance and other key points. The firm generally invests your assets in the following securities if they align with your investment objectives and time horizon. KC Investment Advisors, which currently does business as KCoe Wealth (KCW), provides its clients with financial planning, investment management and insurance planning services. According to SEC records, the firm currently works with a few more than 100 clients. Most of them are not high-net-worth individuals. The firm generally requires a minimum initial investment of $50,000 for accounts under its KCWM Program Asset Allocation System accounts or $250,000 for Private Managed accounts. KWC currently operates more than $176 million in assets under management despite its small pool of individual clients. KWC registered with the SEC as an investment advisor in 2004. It is owned by KCOE Wealth Management, LLC, which is owned by KCWM Holdings, LLC. The firm’s advisory team consists of one certified financial planner (CFP) and one accredited asset management specialist (AAMS). The firm provides consultations on your choice of financial topics, and it helps clients with ongoing asset-management services. The firm helps clients build investment portfolios to meet their individual goals. The firm monitors these accounts to make sure they fall in line with such objectives. It builds an asset allocation and an overall financial plan if requested by drawing from several sources of information including questionnaires, surveys, financial documents and more. The firm can also provide advisory services by referring clients to third-party unaffiliated money managers that are registered as advisers or are exempt from doing so. To further expand your search for the top financial advisors in Wichita, use our advisor search tool. It connects you to uo to three advisors in your area after you answer a few questions. From there, you can review their qualifications and even set up meetings before working with one.